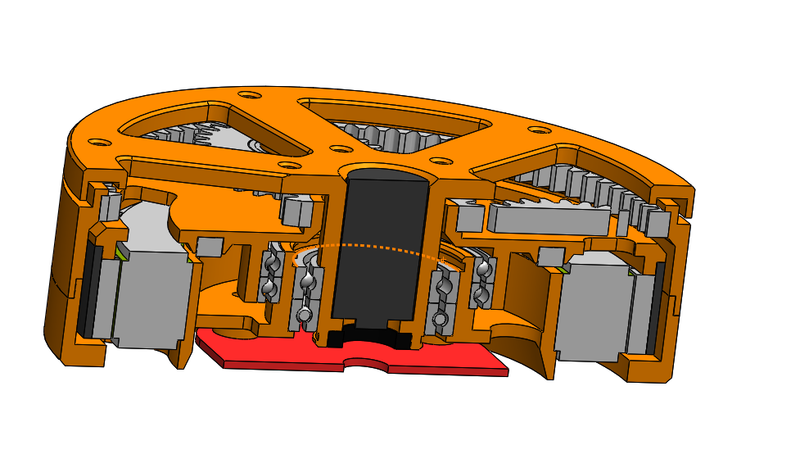 Precise CAD design allowed to fit a lot of components into minimal size. For mobile robot you want to achieve max torque/power in minimal space/weight and I’m pretty happy with how a relatively complex design came out so compact. CNC machining is awesome. Instead of choosing from what was available I was able to make it the way I want it. 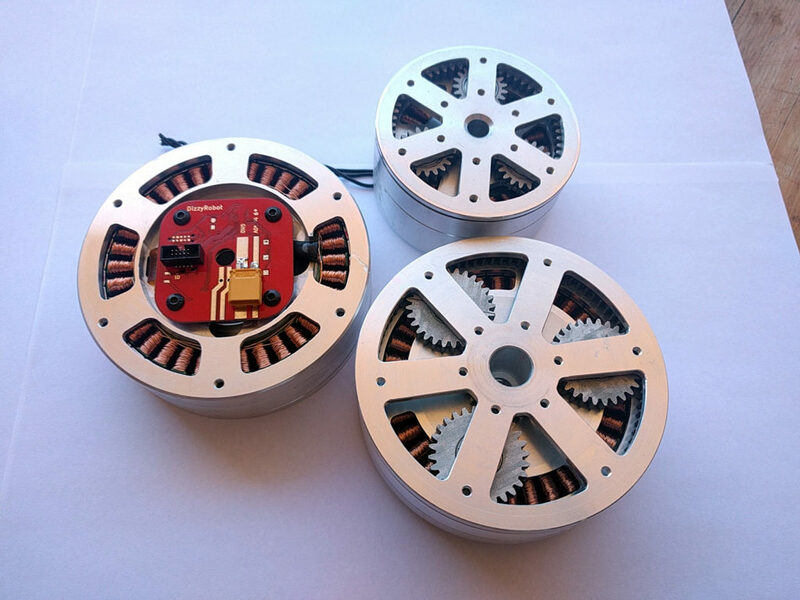 Every piece (except for stator core) is custom designed, including gears.